Has the Responsibility to Protect been forgotten? 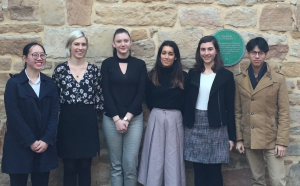 On Tuesday 27 November the AIIA NSW interns debated the proposition “That the Responsibility to Protect (R2P) has been forgotten”. The debate was adjudicated by international law expert Kevin Boreham. The R2P commitment was endorsed by all member states of the United Nations at a 2005 World Summit in order to address four key concerns: to prevent genocide, war crimes, ethnic cleansing and crimes against humanity. The affirmative team argued that R2P plays no part in current discussion of international issues. These are approached in the same ways as in the past as major powers jostle to pursue their objectives. It was years now since the R2P had been drawn on specifically, as it had in the case of Kenya. Overreach and chaos in Syria had undermined any hope of R2P relevance, as had Saudi behaviour with its less powerful neighbours. The lack of any coercive element meant that the R2P had become irrelevant. The negative team argued that the R2P remained an ongoing factor in international deliberations. Its language and principles had not been questioned, even by such powers as China and Russia when vetoing UN Security Council resolutions unacceptable to them. R2P was drawn on by the parties engaged in the Syrian situation. It had helped combat arms races and had been drawn on all the more after the Libyan crisis demonstrated the need for international cooperation. International crises were complex and ideal solutions were rarely possible, but R2P had established a structure which continued to support the pursuit of principled outcomes. The adjudicator commented that more mention might have been made by both teams of the role of the Trump presidency in questioning, even undermining, most established international norms, including Trump’s disavowal of President Obama’s commitment to the R2P. But each team had presented convincing arguments, and he found no basis for declaring one side to have been better presented that the other – the outcome was therefore a draw.